We cherry-pick a selection of bite-sized automotive news from the past seven days. This week, news from Ford, Hyundai, Mercedes-AMG, Bentley, McLaren and Volkswagen Commercials. 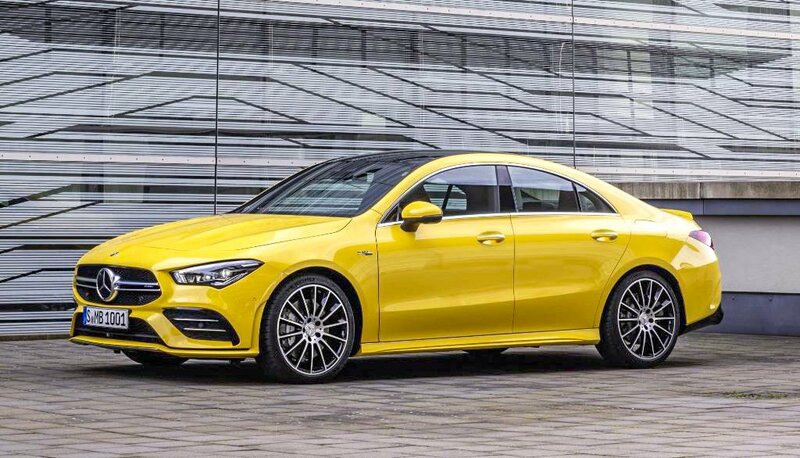 Mercedes-AMG has revealed the CLA 35 – the fastest version yet of the Mercedes-Benz compact four-door coupé – ahead of the New York Motor Show later this month. The CLA 35 bears a sporty grille and front bumper, power bulges on the bonnet, side skirts, a sporty rear bumper and twin exhaust pipes. Large 18-inch alloys are fitted as standard, but you can specify 19-inchers from the options list. Compared to the recently revealed A 35 saloon, the CLA gets a longer bonnet and a sloping roof complete with pillar-less doors. While around the back you get a flowing boot lid that looks longer than the stubbier rear end on the A-Class saloon. Inside, you get features unique to the CLA 35 such as the infotainment’s Supersport setting. That gives you a huge rev counter display and, next to it, information on the car’s Warm-up, Set-up, G Force and Engine Data. The optional AMG Track Pace pack goes one step further giving you, according to Mercedes, a ‘virtual race engineer’. It permanently records 80 parameters including speed, acceleration and G forces and, if you ever take your Mercedes on track, can record lap and sector times – with elements turning red or green depending on whether you’re up or down on your last time. Using the car’s augmented reality satnav, it can overlay the correct racing line on to the centre screen on famous tracks such as Silverstone. Finally, it can record acceleration and braking times – to give you confirmed bragging rights down the pub. The CLA 35 uses a highly tuned version of the petrol engine fitted to the CLA 250. As a result, power from the turbocharged four-cylinder increases from 224 to 306hp and you get 400Nm of torque – enough to get the car from 0-62mph in just 4.9 seconds. That acceleration comes thanks to the car’s standard four-wheel-drive system, which sends up to 50 per cent of power to the back wheels when it’s needed. The other factor that makes the Mercedes-AMG so quick is its seven-speed DCT dual-clutch gearbox that gives you perfect changes every time and has a race-start function for slingshot acceleration off the line. The Mercedes-AMG CLA 35 goes on sale at the end of April, with first deliveries expected around August. The new 2020 Ford Kuga has been revealed. 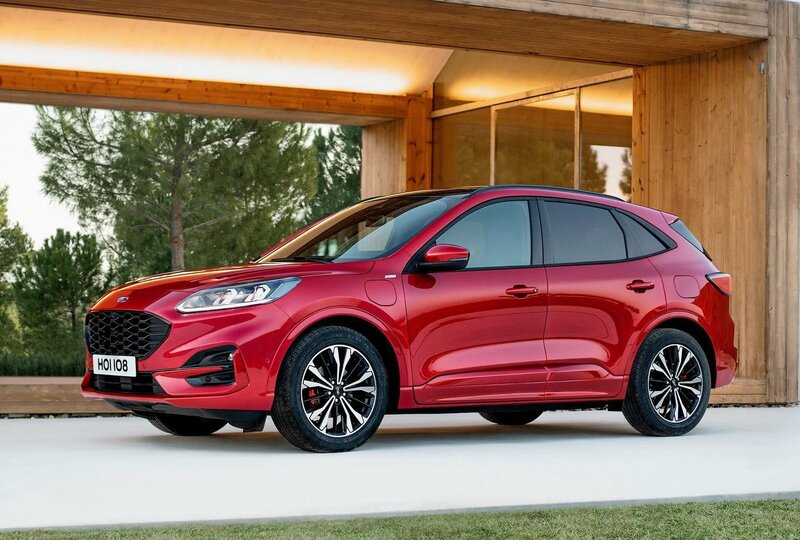 Sporting a new shape that’s less SUV and more an enlarged Focus, the all-new Kuga gets a more spacious interior (which it needed) and three hybrid powertrain options. The resemblance to the new Focus is clear to see because it shares many of its parts with the Ford Focus. You get the same smart grille, piercing headlights and curves on the side of the car. There are no less than three hybrid models from which to choose. They are led by the Kuga PHEV (plug-in hybrid). It uses a 2.5-litre four-cylinder engine that is boosted by an electric motor to provide 225hp and spectacular fuel economy of up to 235mpg, though you’ll only get close to that figure on short journeys. It can also drive for more than 30-miles on electricity alone, thus slashing your fuel costs if you have a short commute. The same setup can also be had in self-charging hybrid form. Ideal if you have nowhere to charge a car, it’ll return fuel economy of up to 50mpg and you’ll be able to choose from front-wheel drive and four-wheel drive models. Last in this trio of hybrids is the mild-hybrid EcoBlue diesel. It uses a 150hp 2.0-litre diesel engine that’s combined with a 48v power supply and a large starter motor, which can provide additional thrust when setting off to help save fuel. As a result, it can return fuel economy of up to 56.5mpg. You can still have your Kuga with a choice of four conventional diesels and petrols. They include a front-wheel drive 120hp 1.5-litre EcoBlue diesel and a four-wheel drive 190hp 2.0-litre diesel. The new Kuga is likely to go on UK sale in late 2019, with first deliveries starting in early 2020. 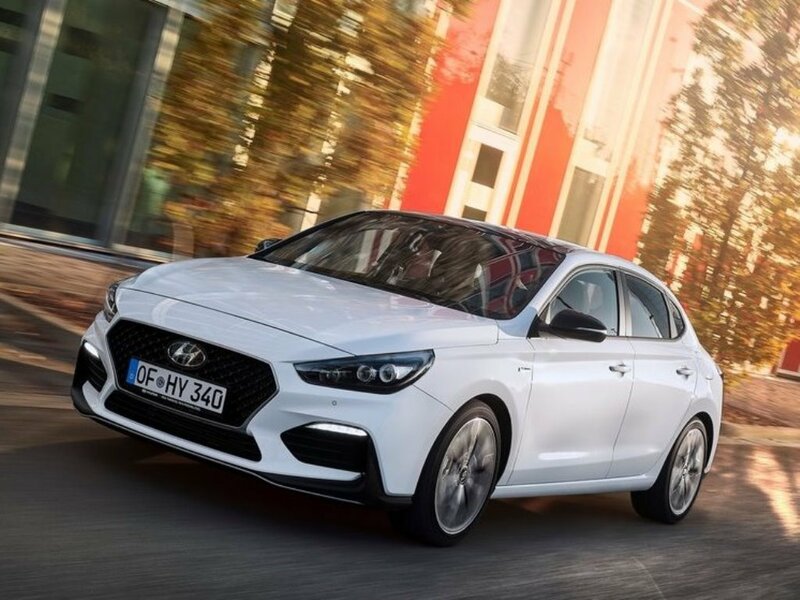 The Hyundai i30 Fastback N is one of the best affordable performance cars out there today, but if it's a bit too feral for you, Hyundai has introduced a ‘Plan B’ just for you. The i30 Fastback N Line is a neutered version of the full-fat N, powered by either a 1-litre, or a 1.4 T-GDi engine with changes to the suspension, brakes and engine response as well as the addition of Michelin PS4 tyres, which helps make it a more compelling drive than the standard i30s. Paired to the two engine options are also two transmission choices – a six-speed manual and a dual-clutch 'box. There are two trim levels – the ‘N Line’ and ‘N Line Plus’. The former has the 1.0-litre turbo petrol engine and comes with cloth sports seats, air conditioning, an automatic dimming rear view mirror, and black headlining as standard. The i30 Fastback N Line Plus offers the 1.4-litre turbo petrol engine and has heated faux leather and suede sports seats, dual zone climate control, heated steering wheel, LED headlamps, and automatic rain sensing windscreen wipers. An 8-inch touchscreen navigation system with Traffic Messaging Channel, Mapcare and LIVE Services is available as an option on the + model customer option. The N Line Plus also has the DCT transmission as an option. As with all i30s, the i30 Fastback N Line also comes with a raft of safety features as standard. These features include Lane Departure Warning System, Lane Keep Assist, Autonomous Emergency Braking and Hill Start Assist Control feature on all models. Standard technology and connectivity equipment also feature, with all N Line’s benefiting from Centre Console Display, 8-inch Touchscreen Display Audio with Smart Device Integration & DAB, supporting Apple CarPlay and Android Auto. The Bentley Bentayga V8 Design Series is a special-edition version of the luxury SUV. As an appearance package, Design Series combined new features designed by the Mulliner division with a range of existing options. Bentley says it’s "a contemporary styled and visually dynamic version of the world’s most luxurious SUV," although the Design Series isn’t a major departure from the standard Bentayga. While the ‘standard’ Bentayga is available with two petrol engines, a diesel and a hybrid, the Design Series is offered only with one drivetrain. As the name suggests, it comes only with the 4.0-litre V8, which is the entry-level model in terms of pricing. Of course, the Design Series still looks like a Bentayga, Bentley have added a series of extra features such as the Blackline package as standard. This bundle includes a body-coloured front bumper apron and a gloss-black finish for the exhaust pipes. The more astute will notice the absence of any chrome on this special edition Bentayga. The trim around the front grille, the bumper and side skirt inserts, and the window trim are finished in gloss-black for a sporty look. The Design Series also comes with a set of new seven-spoke wheels design by Mulliner. Finished in Palladium Grey Paragon with silver accents, they also feature self-levelling centre badges. Thanks to a sophisticated weighting mechanism, the central ‘B’ badges maintain the same position as the wheels rotate. Discreet "Design Series" badges placed on the lower front doors round off the SUV’s unique exterior. The interior remains familiar if you’ve already been in a Bentayga, but you can order the Design Series with a few new upholstery options. There are four two-tone themes to choose from, Pillar Box Red, Orange Mulliner White, and Klein Blue, all combined with high-quality Beluga leather. The bright colours from these themes highlight the centre console and lower dashboard areas, a first for the Bentayga. The two-tone perforated leather on the seating surfaces is also a new feature. McLaren promises to redefine the rules of Grand Touring when it releases its own interpretation of the Grand Tourer in just a few months. The announcement was made by CEO, Mike Flewitt, at the company's press presentation during the 89th International Geneva Motor Show. "The fourth McLaren to be introduced under the Track25 business plan will be our interpretation of the Grand Tourer. It will be a car that combines competition levels of performance with continent-crossing capability, wrapped in a beautiful lightweight body. “It's a car that has been designed for distance and one that will also provide the comfort and space expected of a Grand Tourer – but with a level of agility never experienced before in this segment. In addition, it will be the lightest of Grand Tourers and by also having the best power-to-weight ratio, I promise it will be one of the quickest. In addition, it will be the only Grand Tourer to share its DNA with the 250mph McLaren Speedtail." 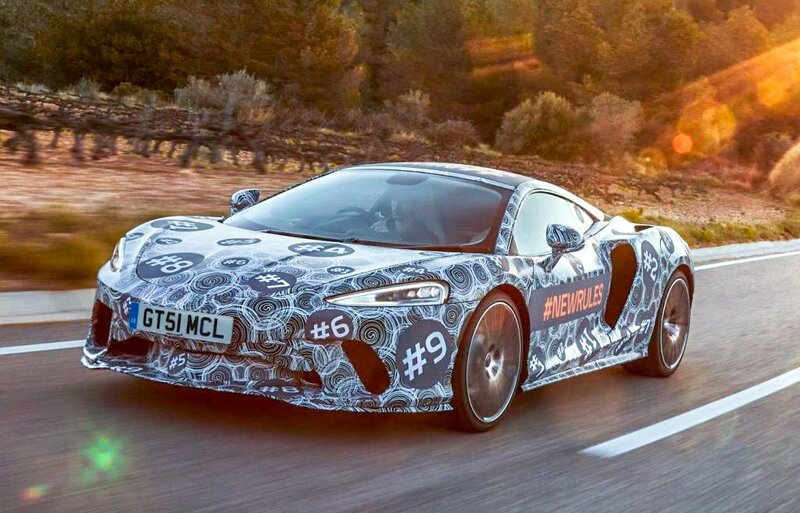 Neither the name of the car nor its final design were revealed at the time, but an image of the McLaren of grand tourers shows the distinctive camouflage has been thinned out, revealing a sleek and boldly elegant car. The interior will feel spacious, uncluttered and modern with only authentic, high quality materials employed. He also promised that the McLaren of Grand Tourers will be the most ‘usable’ mid-engined car yet. Mike went on to say that the McLaren of Grand Tourers will not form part of any of the company's existing model Series and will be a unique, tailored model. Its name and more information are set to be released over the coming months. When in doubt, just add more crossovers – that seems to be the go-to philosophy in today’s automotive industry. After unveiling the all-new Kuga, Ford is now giving us a first look at another high-riding model due later this year. Dusting off the ‘Puma’ moniker, the new compact crossover will slot above the EcoSport but below the Kuga. What used to be a neat two-door sports coupé in the late 90’s and early Noughties is now a crossover. Like the EcoSport, the new Puma will be built in Craiova, Romania where Ford used to make the slow-selling B-Max MPV until a couple of years ago. With the single image being only a teaser, Ford isn’t yet ready to reveal too many details. We do know the new Puma is going to offer a cargo capacity of 456 litres, prompting the Blue Oval to say it’s a best-in-class figure. Not only that, but the boot can accommodate two golf bags in an upright position, which was a request from potential customers Ford got in touch with during the Puma’s development phase. Not that it comes as a big surprise, but power will be provided by a three-cylinder 1.0-litre EcoBoost unit produced at the very same plant where Ford recently built the one-millionth engine. In the new Puma, it’ll be offered with as much as 155hp with a mild hybrid twist for better efficiency and improved low-rpm torque. 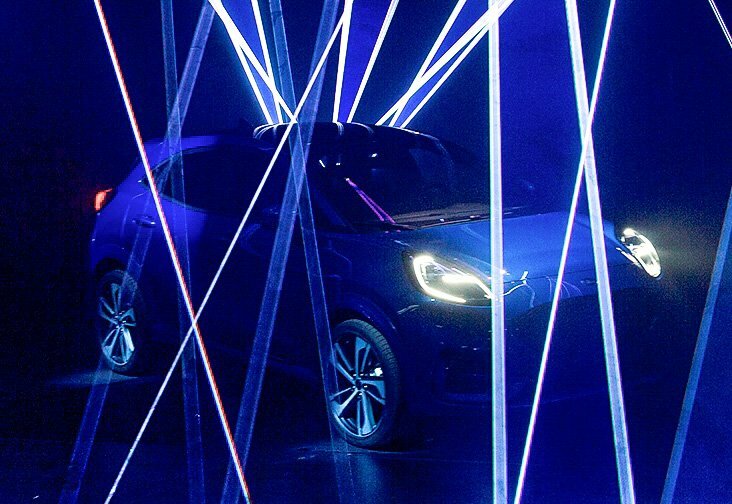 A full reveal of the 2020 Ford Puma will take place later this year. Back in February, VW unveiled the facelifted Multivan 6.1, followed by the people-mover variant making an appearance at the Geneva Motor Show. Now, it’s time for the work-oriented Transporter panel van to get similar updates both inside and out. The facelifted commercial Transporter debuted at the current Bauma 2019 exhibition in Munich, the world’s largest trade fair for construction machinery and appliances of every kind. The first photos released by Volkswagen sees the Transporter 6.1 receive the same design updates at the front as the Multivan 6.1, albeit with less chrome on the grille and the bumper. There won’t be any two-tone exteriors either as the Transporter is a workhorse and not a fashion icon. Inside, the facelifted van gains access to the third-generation of the modular infotainment matrix (MIB3). Available as an option, the interface uses new web-based functions and services thanks to the integrated SIM card (eSIM). Other updates to the cabin include a 230-volt electric socket by the driver’s seat and a lockable compartment under the double bench seat on the passenger side. Panel van and Kombi models with bulkhead also get a separate cargo space locking system as standard that can be locked up separately from the cab. Additionally, long items can now be loaded easier by pushing them under the double bench seat on the passenger side. This effectively increases the maximum cargo compartment length from 2,450 mm to 2,800 mm for the standard wheelbase model and from 2,900 mm to 3,300 mm for the extended wheelbase Transporter. As before, the Transporter will be available in a variety of body variants: panel van, Kombi passenger version, as well as single or double cab pickup. Regardless of the version, VW says the standard equipment has been significantly enhanced. New standard features include power windows, central locking, electrically adjustable heated wing mirrors, new H7 headlights, LED interior lights, and the Composition Audio radio system with Bluetooth hands-free function. The engine line up consists of four 2.0-litre TDI turbo diesel units in 89hp, 109hp, 148hp and 196hp guises. The 148hp and 196hp versions will be available with 4Motion all-wheel drive. In addition to the diesel models, customers will be able to buy an all-electric Transporter for the first time. Developed in collaboration with ABT, the electric version is powered by an 82kW electric motor fed by battery packs with capacities of up to 77.6kWh. With the biggest battery, the e-Transporter will offer more than 295 miles of NEDC-rated range and a payload of almost 1.2 tonnes. To register your interest in any of the above cars coming our way soon call our friendly and helpful sales team on 0161 826 9716.